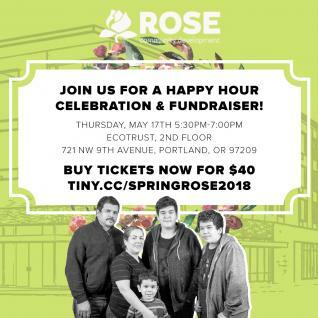 Join ROSE Community Development for a fun evening to celebrate building community and affordable housing in outer southeast! Great food and drinks will be on-hand, and most importantly a chance to know more about the families you are supporting when you support ROSE. They will also be honoring Zenger Farms and Carleton Hart Architecture for their outstanding work supporting ROSE communities.